A nutritionally complete formula and nearly dust-free pelleted product, LabDiet ProLab Rabbit Diet is uniquely balanced product. This product is a recommended formula with complete nutrition for reproduction, growth, lactation and maintenance. LabDiet ProLab Rabbit Diet is paired with Constant Nutrition, an innovative concept with the highest quality ingredients to assure minimal inherent biological variation. The formula provides the required energy and all other essential nutrients for the stress period of gestation, rapid growth and lactation. If you would like to view the nutritional information on this diet, click here. If you would like to order LabDiet ProLab Rabbit Diet then please call our store at: 800-262-5258. We are located in Fort Worth, Texas. 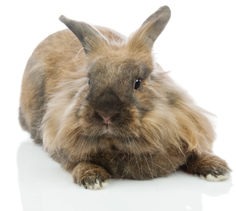 For any additional information and questions about LabDiet ProLab Rabbit Diet, contact us here.